If you’ve ever been interested in a legal career but don’t feel up to the monetary and time commitment required to become a lawyer, then a great choice for you is to work as a paralegal. Paralegals are legal professionals who are responsible for many of the same duties as lawyers, and have a much quicker path of entry to their career. A good idea for anyone considering a rewarding, exciting career as a paralegal is to learn some of the basics of entering the profession and what law firms are looking for in their paralegal professionals. 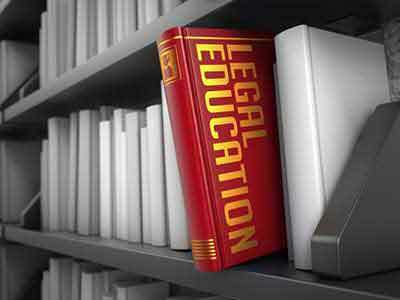 If you want to know how to become a paralegal, the first thing you will need to do is to enroll in some level of paralegal education. Depending on the requirements of your state, and the law firm where you are seeking employment, your education can be anything from a certificate program to a bachelor’s degree. Most paralegals will pursue advanced degrees to make themselves more attractive candidates. However, if you choose an associate’s or bachelor’s degree, be sure your paralegal studies program has been accredited by the American Bar Association (ABA), which is a certification requirement in many states. Depending on the state in which you’re seeking employment as a paralegal, you may be required to become certified before you can work. There are multiple ways that you can pursue paralegal certification, all of them with their unique benefits. For example, depending on your state, certification can be offered through a state governmental agency. This will usually require that you prove your completed education, have some level of work experience and can pass the exam. If you live in a state that doesn’t offer or require certification, you can become certified by one of several national level organizations, such as the National Organization of Legal Assistants (NALA). Law firms will generally prefer paralegal candidates who have experience in the field prior to starting their career. While many states do not require experience to enter this profession, it can be a boon to your career prospects to accumulate paralegal knowledge and skills through hands-on training. Some law firms will offer on-the-job training to their paralegals, but this can be rare. Instead, paralegals will typically enroll in an educational program that features an internship component. When an internship is a part of your degree, you will be better prepared to work once your program is complete. If your program did not offer internships, you can gain experience by doing pro-bono or volunteer legal work. Are you good at drafting legal documents, researching, analyzing the facts of cases, and collecting documents from cases? Paralegals aid attorneys in performing their day-to-day duties. One might say that they are the backbone of attorneys, without going into acts considered as the practice of law. It is essential for a paralegal to attend and complete a paralegal degree in a credible institute and have internship experience. Important skills include people skills, the ability to work under pressure, strong analysis skills, and paying attention to detail. There are a number of paralegal careers to choose from, each entailing its own education and or certificate requirements. After putting effort and time into this career path, you will soon realize that it is a highly satisfying choice. So long as you’re able to meet all of the paralegal requirements for your state, you will easily be able to embark on a successful, lucrative paralegal career. While working as a paralegal, you’ll be responsible for all of the tasks that allow lawyers and law firms to effectively serve their clients. Writing legal documents, assisting in trials and gathering evidence are all in the purview of a paralegal, making this an enticing legal professions to pursue. Become a paralegal and join a competitive, fast growing profession.